Both Mystical and Simple. Yoga Nidra is a state of consciousness naturally touched by every human being as we move towards sleep, where both inner and outer worlds are illuminated . In a state between awake and asleep unfolds the potential for the conscious directing force of awareness to turn in upon the deeper realms of the subconscious. The Practice of Yoga Nidra is simply one of remaining awake as the state is illuminated. Practitioners are guided to comb through layers of perception that shape our reality, bringing awareness to what may once have seemed Mystical or dormant. Yoga Nidra brings practitioners into the field of the unchanging, unwavering Truth behind all of creation, aligning to our true nature. There are many side effects of Expanding Awareness such as, yet not limited to the following. Insight, intuition, connecting to core-essence, Wisdom, re-attuning to Psychic Human abilities ect. In this 50hr Training, practitioners will connect with the Ancient teachings of Yoga Nidra, it’s origins, and guiding principles as explored in Yogic texts. The next Chapter of these timeless teachings is it’s reach into Quantum Physics and Biology where Pioneers in their respected fields are highlighting evolutionary potentials of humanity. Students will explore what Science has proven and what it is pointing to as possible in the practice of Yoga Nidra. Students will be guided to trust in the Seat of their inner teacher as we learn, practice and play with Script writing, facilitating and sharing together. 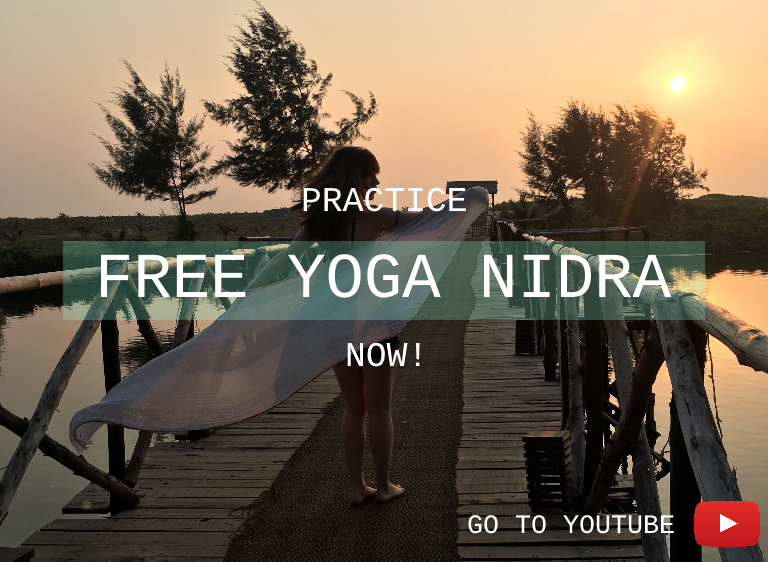 Homework will be given to those who wish to be certified as a Yoga Nidra Teachers including, script writing and submitting audio recordings for feedback. Calling all students with a sincere desire to share in this space. All levels are welcome, yet some experience with Yoga Nidra is encouraged.